Experts in the United Nations have pointed out that aggressive promotion of pesticides is a global human rights concern. Pesticide use can be detrimental to the right to food, they said in a recent report. The current national and international legislation is inadequate fail to protect humans and environment from hazardous pesticides. The report submitted to the Human Rights Council says that pesticide application rates have increased over the years, in spite of the known harms associated its excessive and unsafe use. The report adds that pesticide use impacts the right to health and food which obligate states to implement protective measures to ensure that the food is safe, free from pesticides and qualitatively adequate. 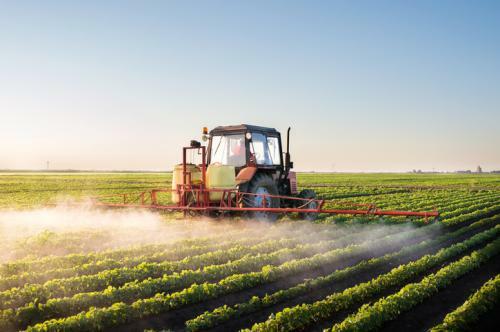 The report highlights lax in pesticide registration processes prior to sale and the difficulties in analyzing the risks of pesticides submitted for registration. The report also points to the need of an effective regulatory approach for pesticides and phasing-out harmful variants. The report suggests agroecology as an alternative to extensive use of pesticides, adding that moving away from industrial agriculture would be the most effective long-term method. The report recommends that countries should develop comprehensive national action plans to incentivise alternatives to hazardous pesticides and establish impartial risk assessment.